The IVF/IUI journey can have many ups and downs. Women reach out to us every day in need of support and stress relief while they navigate this road. This article offers natural ways to find your calm and ease stress when preparing for an IVF cycle. 1. Get Grounded. Many women struggle with daily drug treatments, experience side effects or face unexpected schedule changes during their IVF cycles. If this happens to you, grounding techniques can calm stress and feelings of being overwhelmed. They allow you to become connected to the present and let go of any fears for the future. Plant your feet, outside in the dirt or grass preferably. Take some slow, deep belly breaths. Use all of your senses to diffuse stress. Look, listen, smell, taste and touch the things around you. Stop to focus on an object like a favorite picture, crystal or even your own hands and feet to help slow your thoughts when your mind is racing. Take a few minutes to enjoy a cup of relaxing, organic tea. Take note of its flavor and smell, and how you feel. 2. Use Affirmations. You’ve reached a point on your fertility journey when it’s time for lots of self-love and credit for your hard work. You’ve done great! If you have yet to fully believe this, try the IVF Affirmations from our Senior Herbalist Elizabeth Willett, to encourage positive thoughts as you greet each day. Affirmations help to release fears, shift negative thoughts to positive ones, and attract more good things in your life. I am thankful for all I have. 3. Use Guided Visualizations. Guided visualizations are a proven way to encourage a positive mind-body connection that can bring about real changes in the body. 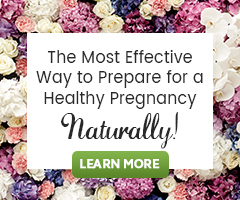 Create your own guided visualization exercises as you prepare for IVF or try an audio program like Circle+Bloom. 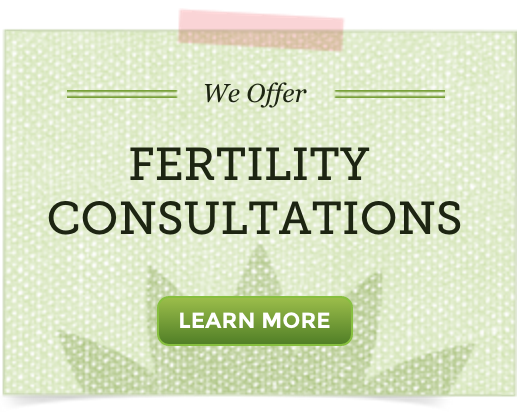 Circle+Bloom’s IVF and IUI Mind-Body Program provides 18 sessions that correspond to the requirements of a medicated cycle. It includes special information on the use of synthetic hormones and the timing of each phase of treatment. Circle+Bloom programs allow you to take an active role in reducing the stress associated with fertility issues, trying to conceive or undergoing IVF or IUI. They should be followed when you are able to completely relax. Most clients listen to their programs at bedtime or before they get up in the morning. We hold you in our hearts! Take some time every day to find calm on your IVF journey. Become grounded and use daily affirmations. Create a sacred space to journal or meditate daily. Remember, you’re not alone. We’re with you as you walk along this path. Please reach out for support if you need help or someone to share space with you as you work towards achieving your goal of parenthood. Rodriguez, H. (2017). Should You Be Grounding To Reduce Anxiety. Personal Communication. A good motivating article Sarah, thanks for sharing it. Riding the IVF, roller coaster isn’t easy. Your feelings can go from day to day – or even minute to minute, shifting between feeling great, positive, happy, negative, pessimistic and of course Scared – really scared. It’s hard to keep your feelings in perspective sometimes. The best advice is, to own your feelings. One of the best things that has been found to give great comfort was learning about and utilizing affirmations. How we think can play a big factor in outcomes. Replace all negative thoughts with positive ones. For those who read this and are curious about affirmations (because we agree 100%), perhaps our guide IVF Affirmations: Using Your Thoughts to Stay Calm and Foster Success will offer help and hope!